The Galaxy S9 was released in 2018 to critical acclaim, with many reviews citing it for its sleek design, responsive features, and a whole host of capabilities. 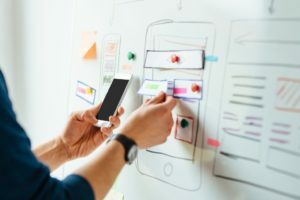 Although the Galaxy S10 was released shortly after the S9, many people are still very happy with the latter, which has prompted both Samsun and third-party providers to continuously create accessories that improve people’s experience with the flagship phone. We’ve listed down some of the best accessories for your Galaxy S9, and all for under $50. This military-grade case is both cool and functional: it works with most kinds of screen protectors and the kickstand opens and closes without a hitch. Despite the MIL-STD 810G-516.7-compliance, the case remains lightweight, slim, and comfortable to hold. It has a cutout for the fingerprint sensor, and has lips on the top and bottom so you can lay your phone on flat surfaces without worrying about scratching the screen. 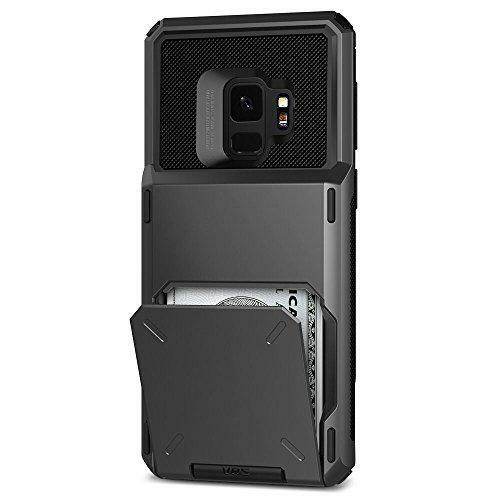 Tested using MIL-STD 810G-516.7-compliant standards, this Samsung case boasts a military-grade ruggedized design that’s been tested extensively for shock and drop resistance. While you might not need that level of protection, for less than 14 bucks, that’s really great value for money. 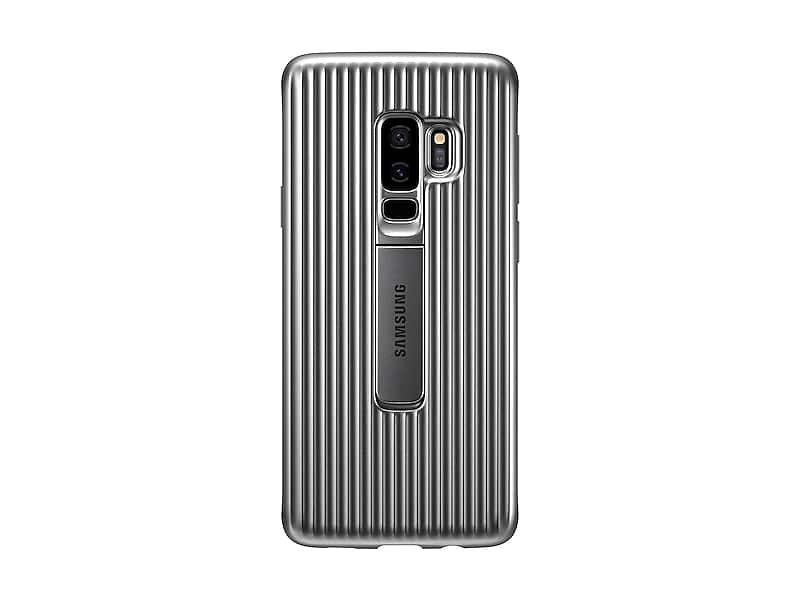 Much like the Samsung Military Grade Protective Case, the VRS Full Body Protective Armour gives your S9 all the protection it needs without sacrificing comfort. It has a rugged but modern look, and can protect your phone from most types of shocks, drops, and sudden impacts. The case’s button covers are made from TPU (thermoplastic polyurethane), which remain responsive without compromising on protection. There are also cut-outs for the various ports, and a built-in storage pocket where you can keep cards or extra cash. The Galaxy S9 boasts an Infinity Display, a screen that offers a smooth, uninterrupted surface that’s free from bezels and buttons, extending all the way to the edge. Protecting this display, therefore, becomes a priority, and one of the best infinity display screen protectors in the market today is the Zagg Glass Curve Elite. 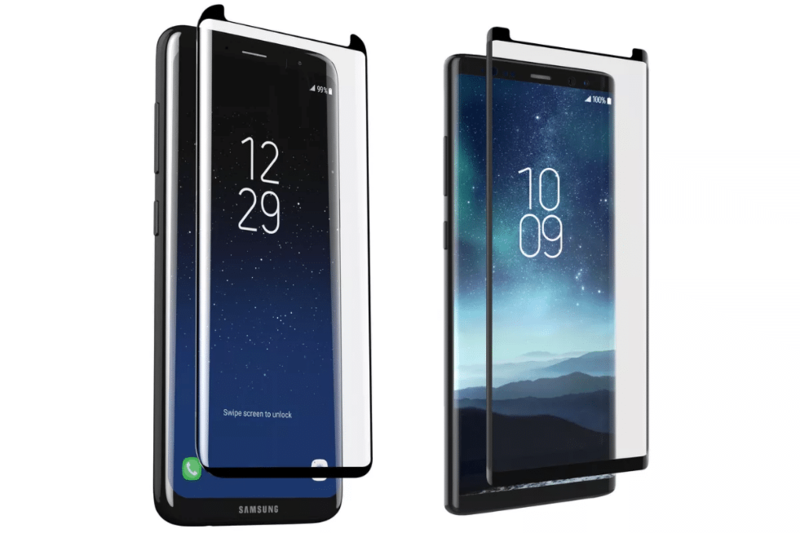 Zagg’s InvisibleShield comes in either 5.8 inches for the S9 or 6.2 inches for the S9 Plus. It also boasts a special gel adhesive that not only ensures your glass protector is attached securely and without smudges, it also helps absorb shock in case of sudden falls. These wireless earbuds from LBell are perfect for those who want the AirPod experience without the ridiculous AirPod pricetag. The LBell Bluetooth Magnetic Wireless earbuds allows you to connect to your device instantly, and their Bluetooth pairing tech is very decent, allowing a stable connection even with a fair amount of outside electromagnetic interference. 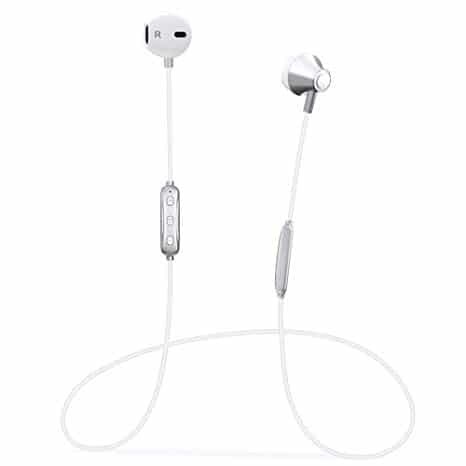 The earbuds are very lightweight, but are designed with silicone ear hooks that keep the buds in your ears even with moderate-to-heavy activity like working out, jogging, or hard running. Speaking of working out, the buds are sweat-proof, so you don’t need to worry about water damage coming from your swear. Despite their small size, they offer great bass and HQ sound, as well as noise cancellation and & DSP. The Galaxy S9 was released to critical success, with many reviews calling it a near-perfect device. It would have been perfect, but the fairly mediocre 64GB storage for both the S9 and the S9 plus was a let-down for many, especially since other manufacturers offer storage sizes of up to 256GB. 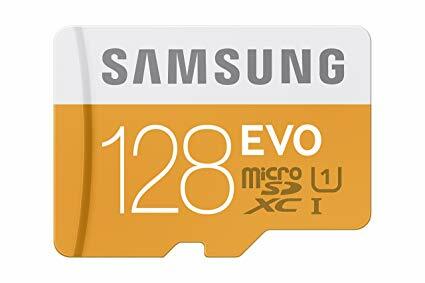 To get around this, Samsung is offering the Evo Plus MicroSD, which gives your S9 an extra 128GB of storage. 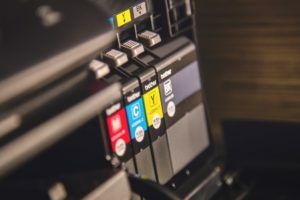 While there are other storage cards out there that offer more space, for less than $25, you get a decent amount of storage with the Evo Plus, not to mention support for 4k videos and an extremely reliable performance record. One of the main selling points of the S9 is its ability to charge wirelessly. Thanks to its proprietary fast-charging tech, Samsung can cut down wireless charging times by a decent amount. 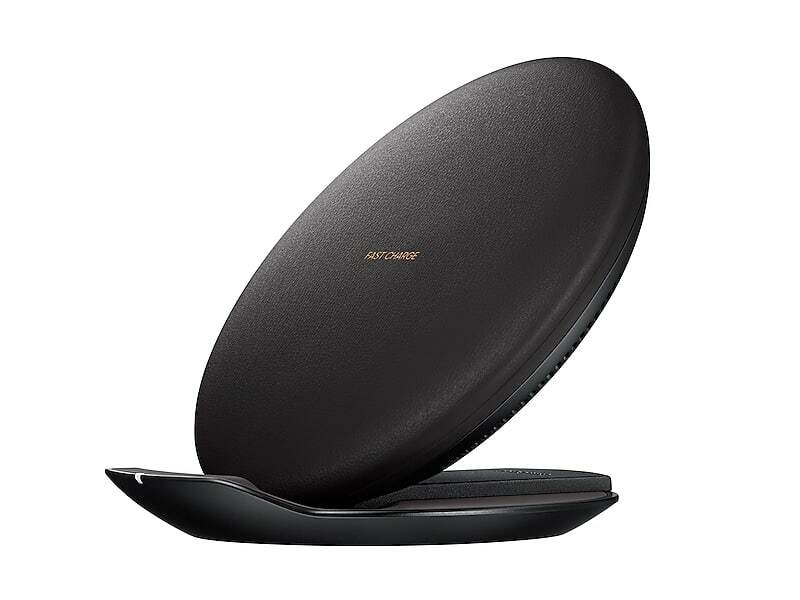 While the S9 comes with a wireless charger of its own, the Fast Charge Wireless Charging Convertible turns your wireless charge pad into a stand that allows you to keep using your S9 even while it’s charging. The Charging Convertible has a built-in LED indicator that lets you know if your device is aligned with the charger, helping you make sure that your S9 is getting the energy it needs. 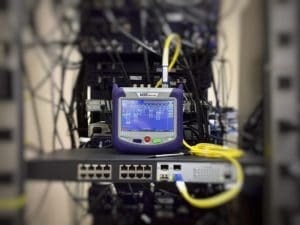 It’s come to a point where even the weakest smartphones today have more processing power than some of the most powerful desktop computers a decade ago. Because of this, many people are opting to use their smart devices as CPU’s for makeshift laptops. Samsung is no different; with its DeX line of accessories, the Galaxy S9 can be turned from a smartphone into an ultraportable PC. 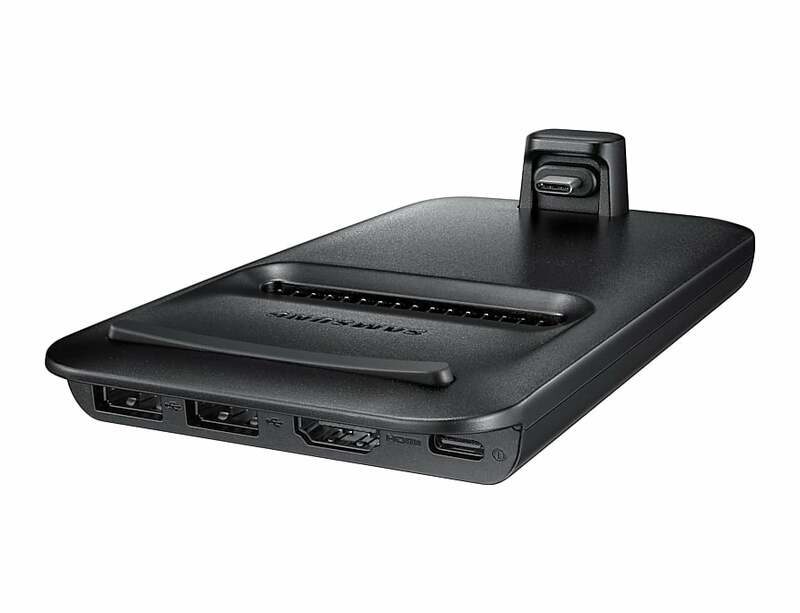 The DeX Pad supports 2k resolution and has a special stand so you can align your S9 horizontally. While it is backwards compatible, the DeX Pad is the perfect accessory for people looking for ways to utilize the S9’s powerful octa-core Snapdragon 845 processor. Technically, this device is slightly over the budget set, but if you’re looking for the best Galaxy S9 accessory for under $50, make an exception for the DeX Pad and loosen the purse strings a bit to shell out the extra few bucks.